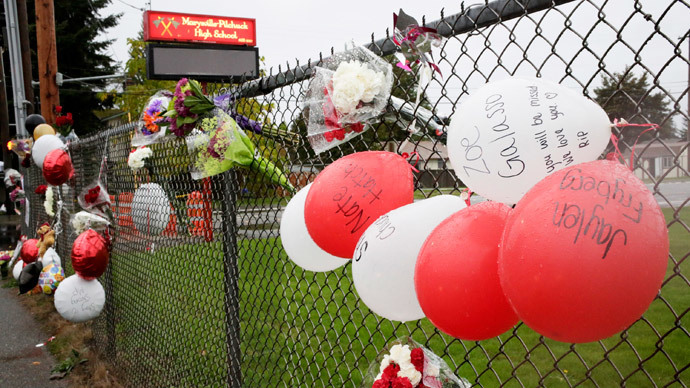 The father of a teenage boy who fatally shot five students and himself in a Washington state high school last October is now facing felony charges after federal authorities determined that he illegally purchased the gun used in the rampage. Raymond Lee Fryberg, 42, was arrested on Tuesday this week and charged with unlawful possession of a firearm by a prohibited person. According to authorities, Fryberg unlawfully acquired the firearm in question in 2013 – a Beretta model PX4 Storm handgun – after lying about a domestic incident that occurred more than a decade earlier while filing on federally-mandated forms. Fryberg’s former partner had filed an Order for Protection against him in 2002, but the document was absent any expiration date. A federal complaint unsealed against Fryberg this week reveals that he was charged with having violated that order in March 2012, and later that year in September he pleaded no contest. Fryberg was subsequently sentenced to 12 months of probation and was again compelled to comply with the 2002 Order for Protection, but authorities say he failed to do so by purchasing the Beretta from a licensed firearm dealer only a few months later, using false information. “Between on or about January 11, 2013, through on or about July 31, 2013, Fryberg purchased five firearms from Cabela’s on Quil Ceda Blvd.” in Tulalip, Washington, the complaint alleges. Fryberg acknowledged in signing the form that he was aware that answering “yes” to the question would prohibit him from purchasing or receiving a firearm, authorities allege, and therefore knew he was acquiring that weapon and others illegally. 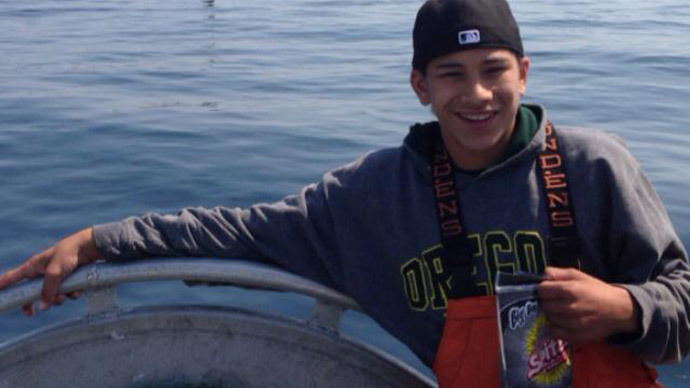 An investigation has concluded that the Beretta was used last October by his son, 15-year-old Jaylen Ray Fryberg, to open fire in a high school cafeteria. Five of his four victims succumbed to their injuries, and Fryberg fatally shot himself, according to authorities. If convicted, the boy’s father faces a maximum sentence of 10-years behind bars. According to the Seattle Times, Fryberg pleaded not guilty and was ordered to remain in custody until a detention hearing preliminary scheduled for April 14.